Dr.Lee was amiable and professional. He took time to listen and explained sufficiently my medical concern. Office staffwere also pleasant. From the moment I arrived, I was treated kindly and professionally. The reception area is clean, and the secretary welcoming.Dr. Lee himself provided excellent care and was very easy to talk to. Dr. Lee's office is outstanding. If you have any type of ear, nose, or throat issue I would highly recommend Dr Edward Lee. From the moment I arrived, I was treated kindly and professionally. The reception area is clean, and the secretary welcoming. Dr. Lee himself provided excellent care and was very easyto talk to. Dr. Lee's office is outstanding. If you have any type of ear, nose, or throat issue I would highly recommend Dr Edward Lee. At Edward C Lee, MD Inc., we recognize that your choice of physician is driven by both the doctor's competency and personality. With ear, nose and throat problems, you need an otolaryngologist who is experienced, understanding and supportive. For more than a decade, Dr. Lee has been delivering care with superb results and has earned trust and respect from his patients. He and his office staff work together as a team to respond to your needs and keep you informed about your health issues. Dr. Edward Lee received his BA degree from the Johns Hopkins University where he was also inducted into the Phi Beta Kappa Honors Society. After attending the prestigious medical school at the University of California San Francisco, he went on to receive his Otolaryngology-Head and Neck Surgery residency training at Columbia Presbyterian Medical Center in New York City. He also completed fellowship training in facial plastic and reconstructive surgery at the world renowned Johns Hopkins Hospital. Upon finishing his specialty training he took an academic position in the ENT department at the Thomas Jefferson Medical Center as a clinical teaching instructor. He was also chief of the ENT Section at the Wilmington VA Medical Center in Delaware from 1996 to 1998. He moved to Northern California in 1998 to start his private practice in Los Altos View and has been a staff physician at the El Camino Hospital. 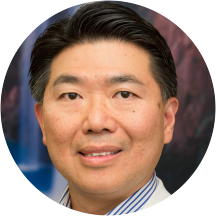 Dr. Lee is board certified in both Otolaryngology and Facial Plastic Surgery. He has co-authored numerous peer reviewed articles and gave oral presentations at national and local meetings. He has appeared in the "Best Doctors" section in San Jose Magazine for the last several years. Dr. Lee is married with two children, and lives in Los Altos. Good listener and made many helpful suggestions. I arrived a little late, but the front desk staff was pleasant and accommodating. I was called back quickly, and Dr. Lee came in soon after. He was professional, efficient, and gave great practical advice. Great experience overall. He explained everything clearly and did what was necessary to solve my problem. Happy with services done. Polite office staff as well. Will return if further assistance is needed. I'm so glad Dr. Lee's practice uses ZocDoc since I was able to book an appointment on Thursday night for Friday. All his staff were very nice, and his receptionist called me in the morning to confirm my appointment and tookmy insurance info in advance. Dr. Lee was patient while I described the ear, nose, and throat issues I've had over the last two weeks. He was extremely thorough, used a nasal endoscope to check and confirm everything, and answered my numerous questions without being dismissive or impatient. The best part was that he recommended something I could do at home instead of taking medication. I highly recommend Dr. Lee. The doctor was very understanding of my situation. He calmly recommended the right treatment and also suggested that i come back for another visit to make sure my recovery is going well. This helps me to feel comfortable that I'm gettingthe right treatment and that my doctor also is concerned and optimistic as i am about my future health! Office staff was cordial and prompt. Doctor's approach was professional and humanly. His clinical inspection was thorough and deep. Overall experience was nice. Dr Lee was very friendly and explained very well. Dr. Edward Lee has been my preferred ENT practitioner since 2002. Presently, I must go out of network to be treated by Dr. Lee, as I belong to Kaiser Health. I return to DR. Lee when my primary care physician, and specialist at Kaiser are unable to help me sufficiently. He is very knowledgable and took the time to answer all my questions and give thoughtful explanations. Dr. Lee was very professional, gave me good advice, and didn't appear rushed while with me. Dr. Edward addressed my problem and was very efficient. Did not prescribe any unnecessary meds and was very clear about what my ailment was. The doctor is nice and Expensive. Usually I will pay at my bill coming from insurance company which will give some discount as my plan is high deductible. But this place collects money at the site, it makes me feel bad.Another, the reception ladies look to be always busy except collect money. Dr. Lee was amazing. He's calm, kind and patiently explained everything. I recommend him. I had a good experience as a new patient. The Doctor saw me on short notice. The staff was attentive and pleasent. Office staff was friendly and helpful. Facility was modern and spotless. Most of all Dr. Lee was great. Highly recommend him. This man has his own diagnosis in mind without your input. He is convinced everyone is stupid. Does not listen. This is a shorter version of the review I left on Yelp. I went to him for a second opinion. He insisted on knowing what the other doctor had said before giving his opinion. He didn't tell me about an add-oncost procedure before putting a numbing agent in my nose - to do that procedure. It felt slimy - literally. Caveat emptor. Dr. Edward Lee was very friendly. He listens to you patiently and gives proper advice. All in all, it was a good experience. Complete duplicate paper work was demanded over a filling of the net form. Repeated reminding calls to discourage appointment due I don't have supplement insurance besides Medicare. Unfriendly nurse just pushed me to pay. 5 minutes examinationof the doctor. No sense of listening the patience. No reading of filled up form. Rushed to the next patient.